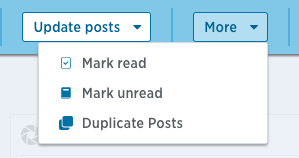 Bulk actions are actions you apply to multiple posts - similar to marking several of your emails as “read.” Bulk actions are available from the web app when viewing the Feed in list view. Update the status of multiple assignees on group of tasks to Resolved or Closed -- indicating that their work is either ready for review or has been reviewed and approved. 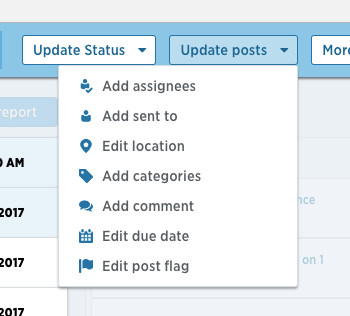 Add new assignees, due dates, post flags, comments, locations, or categories to a group of posts, or add new people and/or companies to the posts to loop them in (like an email CC). Mark posts as Read or Unread. 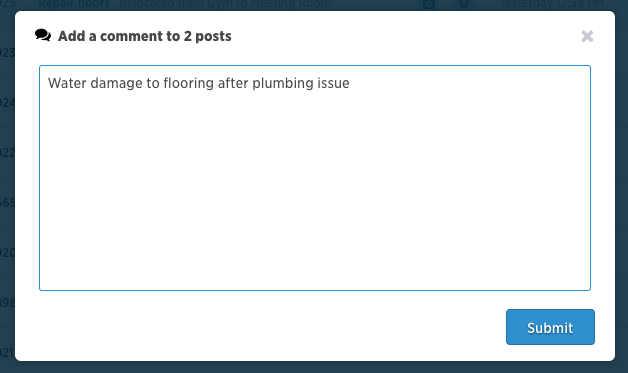 Duplicate your posts to the same or multiple different locations on the project - or remove the location entirely. How do I apply Bulk Actions to my posts? Log into the web app and select a project. Hover over and check the boxes beside each post you'd like to update. You can also click the Select all button at the top of the screen if you'd like to apply an action to all posts in your Feed. After you've selected your posts and indicated what you want to edit, don't forget to save. 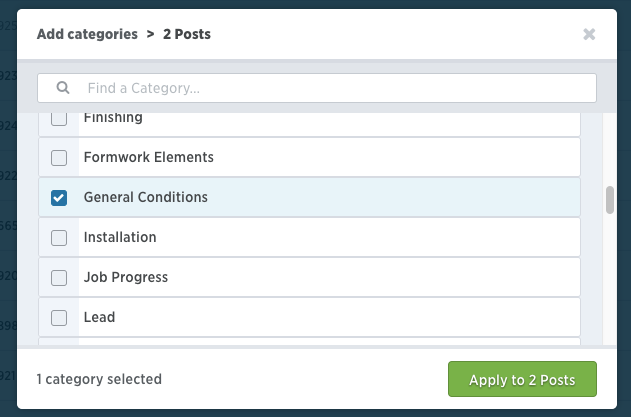 Whether adding assignees, post flags, locations, and categories to multiple posts or setting new due dates, click Apply to X Posts to make those changes. 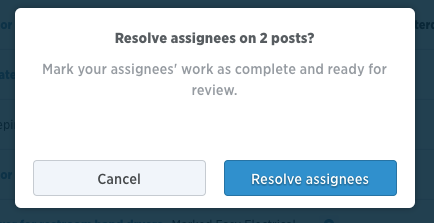 When updating assignees' post status, tap on Close assignees or Resolve assignees. Hit Submit to add a new comment to your selected posts.